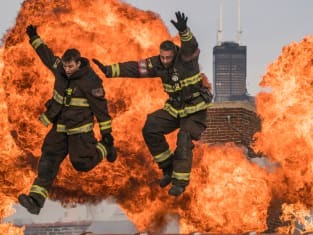 Chicago Fire Season 6 Episode 11: "Law of the Jungle"
Herrmann [weirdly indicating with his head]: Hey, Trudy! Trudy: Christopher, use your words. Herrmann: Would you mind maybe ix-naying the homicide-nay aorund the kid-nay? Permalink: Would you mind maybe ix-naying the homicide-nay aorund the kid-nay? Casey: I got an entire sermon on command humility. Severide: Well, maybe it worth hearing. [incredulous] I didn't sell you out, Casey. It's not who I am. You should know that.